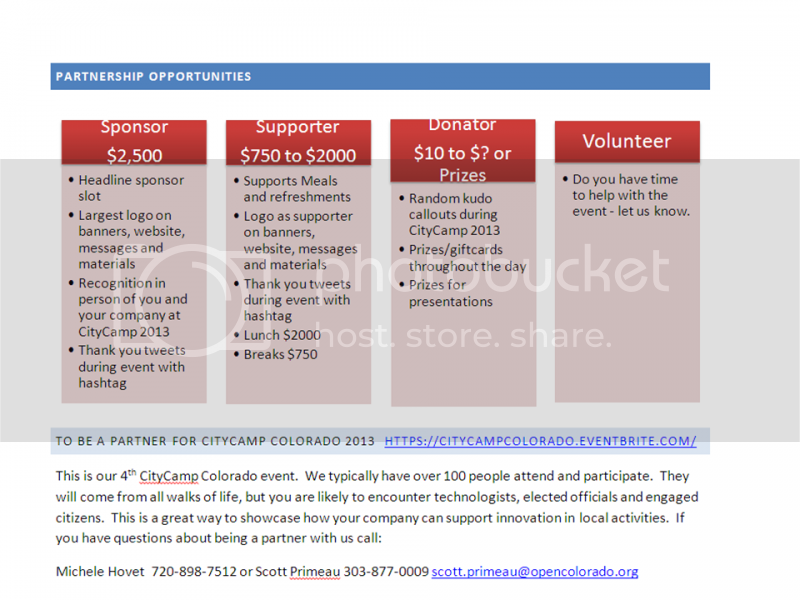 When: The 4th Annual CityCamp Colorado will be on Friday, October 25, 2013. CityCamp Colorado will bring together people like yourself to share ideas to improve local government. CityCamp is an unconference focused on the participants sharing insights and experiences and taking action to bring about the significant, positive change our communities need. At an unconference, content is created and organized by participants. This format provides an excellent opportunity for an active, creative, open exchange geared toward action. Afterall, innovation is only possible when good ideas are shared and well executed. Our theme this year is “Change the Game”. In other words what can we do with “gamification” for civic engagement? Come and see what you can do to “Change the Game” and make a difference. Got ideas on how to change the game? 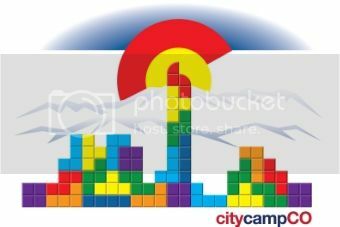 Well load them up now on the CityCamp Uservoice site, we will use these ideas to kick start the day. WANT TO GO? WANT TO SPONSOR? – WE HOPE SO!